On the 16th of February the Ministry of Education and Research in Italy in partnership with the British Council organised the full day seminar “Implementing CLIL in Upper Secondary Schools” which was addressed to principals and teachers in Upper Secondary Schools. The conference took place at MIUR, Sala della Comunicazione, Viale Trastevere, 76/A Rome. 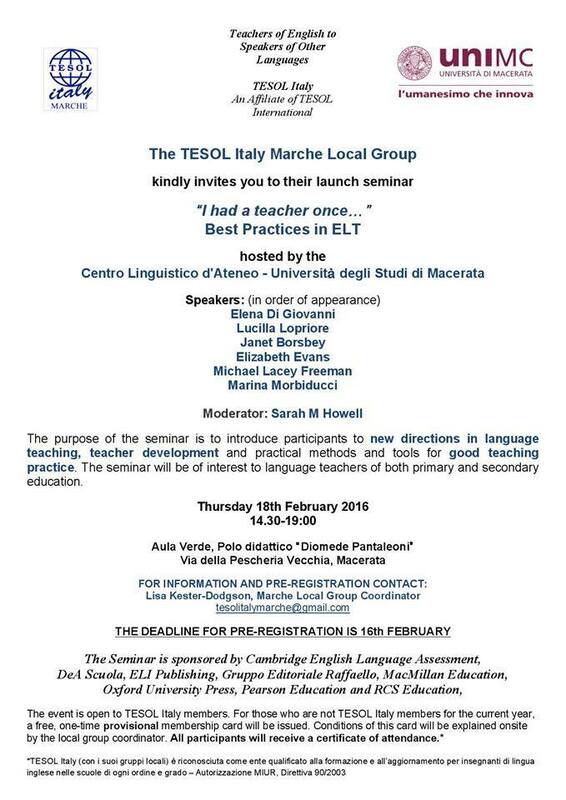 Eight members of the Marche CLIL Network took part. On the 15th of March the training session “Reading and CLIL Connections” was held in Rome at Villa Wolkonsky for English language and CLIL subject teachers working as CLIL Teams with Read On! Six members of the Marche CLIL Team took part.